This is the question I tend to ask myself around this time of year. At Chanukah, which begins on December 16, we celebrate how light – in all its forms – can triumph over any darkness. Creating this light in every moment and every interaction is a choice. Whether it’s a meal for someone hungry, support for a friend in crisis or simply a smile and kind word for someone in need, making light is what it’s about. 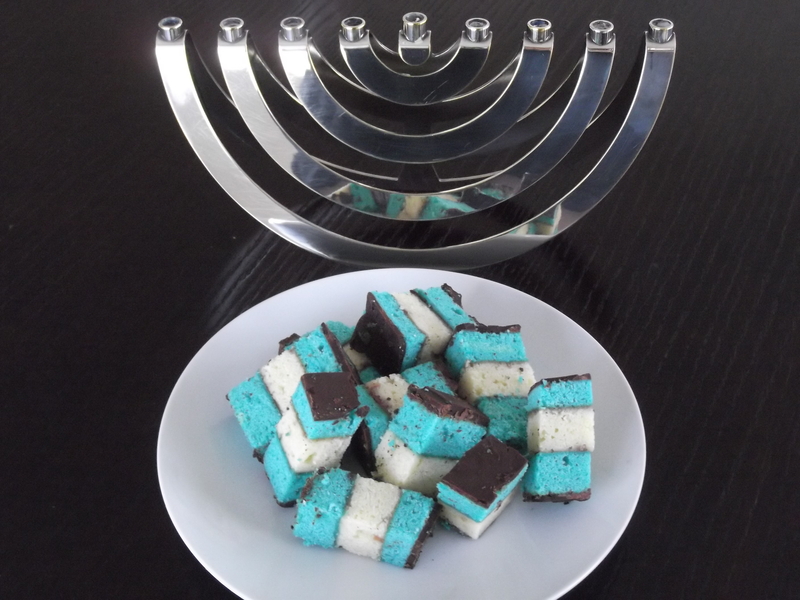 Here are two of my favorite Chanukah recipes which will surely light up your family’s faces. My best wishes to all of you for a holiday season full of light! Add 2 tbsp of canola oil and sliced onions (with a generous pinch of salt and pepper) to a large skillet over high heat. Once you hear a sizzle, lower the heat to medium-low and cook until onions are caramelized (soft, light brown and sweet). This could take up to 40 minutes – stir regularly and add a splash of water if onions begin to burn. Set onions aside in a large bowl and cool. Heat the remaining 1 cup of oil in the skillet over medium-high heat and when hot (test it by dropping in a bit of the latkes mixture – it should sizzle but not smoke) drop spoonfuls of the mixture into the oil and flatten with a spatula – flip after 2-3 minutes and cook for an additional 2-3 minutes on the other side to ensure a golden brown color on both sides. In between batches, remove any stray bits of potatoes from the pan as they will burn.